Sanitrol Building Maintenance Corp. isBoston’s leading provider of commercial cleaning services with an outstanding reputation for quality and integrity throughout Eastern Mass. Facility managers and building owners in commercial, educational, healthcare, & manufacturing markets trust Sanitrol for their most demanding cleaning & janitorial jobs. By choosing Sanitrol you can be rest assured that your facility will be impeccably maintained and will reflect the professional image you wish to project to your clients and employees. 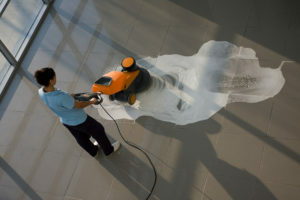 For more than 30 years we have provided high quality janitorial, and commercial cleaning for businesses of all sizes. Our company has built its reputation on our commitment to quality and IMMEDIATE RESPONSE to special requests and priority situations. We are privately held and locally owned, which means you have direct access to an owner & management team that cares about putting the customer first.